What is important for kids to learn is that no matter how much money they have, earn, win, or inherit, they need to know how to spend it, how to save it, and how to give it to others in need. This is what handling money is about, and this is why we give kids an allowance. Given the choice, children who don’t want for anything will not save… We have an obligation as parents to give our children what they need. What they want we can give them as a special gift, or they can save their money for it. 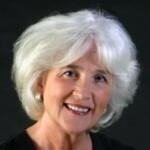 Barbara Coloroso is an international bestselling author and for the past 38 years an internationally recognized speaker and consultant on parenting, teaching, school discipline, positive school climate, bullying, grieving, nonviolent conflict resolution and restorative justice. She has appeared on Oprah, CBS, NBC, ABC, CNN and NPR and has been featured in the New York Times, Time, U.S. News & World Report, Newsweek, and other national and international publications. She is the author of four international bestsellers: kids are worth it! Giving Your Child the Gift of Inner Discipline; Parenting Through Crisis—Helping Kids in Times of Loss, Grief and Change; The Bully, the Bullied, and the Bystander—From Pre-School to High School, How Parents and Teachers Can Help Break the Cycle of Violence; and Just Because It’s Not Wrong Doesn’t Make It Right—From Toddlers to Teens, Teaching Kids to Think and Act Ethically.